I think that we have developed quite a good weekly routine that makes us both very happy ?. Each day we spend at least an hour in the park walking the dog and then play time at home followed by an hour of ‘organised’ activities. The library was absolutely jam packed (great to see this given the budget cuts and that apparently not many people are using libraries anymore!) with screaming toddlers, and I didn’t really know what to expect, other than that I was sure that I would not know many nursery rhymes given that I wasn’t brought up in this country. It definitely didn’t help that a few days prior to my first rhyme time I watched an old episode of Cold Feet in which Adam went to a singing baby group and each parent was asked to sing a line of a song! Disaster! Either way, I was pleasantly surprised how fun and welcoming these sessions are! 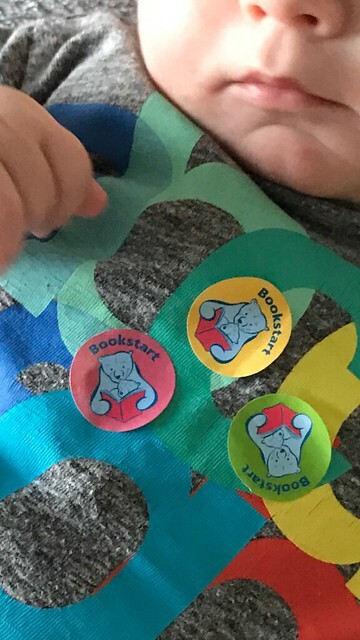 Each session starts with a ‘Welcome Song’ and then story time (using a gigantic book) followed by 25 minutes of nursery rhymes and finally (kids’ favourite) giving away Bookstart Bear stickers. Week after week, Oliver is more aware of his surroundings and enjoying himself more. It’s lovely to see this, and I really hope that he will share our love of reading (maybe not singing). 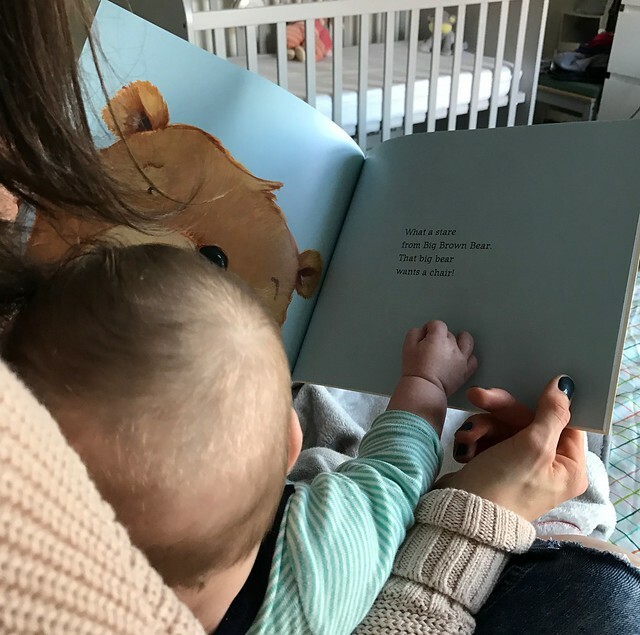 We used to read to him ever since I could feel him in my tummy and I do read to him every day now. It’s a really lovely thing to do together, also proven to be hugely beneficial to newborn babies. We read him both Polish and English books, as we are hoping for him to be bilingual. I have also got him some bilingual books on our recent trip to Poland (I’ll write a separate post on the bilingual books soon), and also found some of the Bookstart website website.